Are people in villages less thirsty? How many litres of water will be the yield of 1.5 inch bore well? Does farm loan waiver save farmers from loan sharks? Can I drill a new bore well which is 8 feet from the existing bore well? A growing demand for water implies the need for an improved understanding of our resources, and the ability to manage that demand in an equitable and sustainable way. 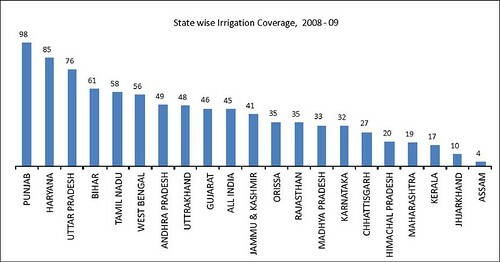 India is a groundwater economy. At 260 cubic km per year, our country is the highest user of groundwater in the world - we use 25 percent of all groundwater extracted globally, ahead of USA and China. Seven out of the top 10 climate hotspots in India in the Vidarbha region of Maharashtra, says a World Bank study. A study by the World Bank indicates that due to rising temperatures and changing monsoon rainfall patterns from climate change, India’s gross domestic product (GDP) may dip by 2.8 percent (amounting to $1177.8 billion) by 2050. The living standards of nearly half the country’s population will get depressed. Ecological sanitation toilets are the best option to deal with mounting sewage burden in India. Untreated sewage is the biggest source of water pollution in India with around 70 percent of the raw sewage generated in urban areas entering lakes, rivers, seas and underground aquifers. As India builds more toilets in pursuit of ending open defecation, water pollution is increasing exponentially. The treatment facilities are simply not able to match the sewage generation capacity of toilets. Lack of water in many places also reduce the use of toilets.